Looking For Outdoor Furniture Stores? Cabana Coast sells a complete line of modern, outdoor, garden and patio furniture sets. Located in Mississauga, ON, Cabana Coast´s stylish furniture is designed for commercial and residential use. 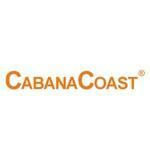 Cabana Coast is a well-recognized brand name for ActiWin Company Limited. Products Carried: Cabana Coast is a leading manufacturer and designer of quality outdoor patio furniture in Mississauga, Ontario. Cabana Coast´s complete line of of high-end luxury patio furniture is quality-crafted with sophisticated elegance and commercial durability. Manufactured for residential and commercial use, Cabana Coast offers such patio furniture sets as: Wicker, Cast Aluminum , Stainless Steel Patio, and Teak. The Mississauga patio furniture store also sells Outdoor Fire Pits.